Michigan’s Debbie Stabenow is the new chairwoman of the Senate Agriculture Committee, due to the defeat of Arkansas Sen. Blanche Lincoln in the last election. In taking over the committee, she will take the lead in writing the 2012 Farm Bill, as well as dealing with legislation that involves forestry and nutrition. This appointment will have a direct impact on specialty crops. Stabenow has served on agriculture committees in the Michigan legislature, U.S. House of Representatives and U.S. Senate. 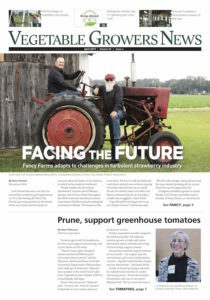 She was instrumental in achieving significant victories for Michigan in the passage of the most recent Farm Bill, including the addition of a new fruit and vegetable title. Responsible for legislative oversight of matters relating to the nation’s agriculture industry, farming programs and forestry, the ag committee also plays a key role in determining funding for private-lands conservation programs.